There is a moment in most readers’ lives that changes the way they think of first-person narrators: the moment they’re introduced to the idea of an unreliable one. (The first time someone mentioned the concept to me, it was in the context of a very unreliable narrator, an evidently unreliable narrator – someone like Chief in One Flew Over the Cuckoo’s Nest, who’s so doped up who knows what’s going on.) But the longer the idea of the unreliable narrator sits in the mind of a reader, the more pervasive it becomes – as it should. No narrator who speaks the word “I” and then presumes to interpret a situation unequivocally – “He looked murderous” – can be divorced from the silent “I thought”. Every narrator is unreliable at the level that every narrator is subjective. The question is, does it matter, and if so, why? In The Secret History, the narrator is Richard, a young man of limited means, from California, who ends up at an aesthetically familiar college campus among farmland and oak forests, somewhere, one imagines, in the middle of America, somewhere closer to the east coast than the west. Once there, he falls in with a very particular Classics professor and his five favoured students. It is a cabal, and an intriguing one. Not in a whimsical way – in an unsettling, captivating one. There is Henry – tall, enigmatic, hyper-intelligent and cold; Camilla and Charles – twins, beautiful and rich; Francis – charming, warm and gay; and Bunny – profligate, ramshackle and insecure. And when Richard meets them, something weird is going on, something impossible to put a finger on. Now the blurb on the copy of the book that I read, the Penguin Classics edition, entirely gave away what that “something” was, and I’m glad I didn’t read it, because I didn’t know. Maybe they’re right to assume, two decades after the book was released, that everyone knows the first twist, but I didn’t, and I don’t intend to reveal it – after all, it doesn’t appear until halfway through the novel, and it makes the first half of the novel absolutely gripping. But then the whole book is gripping. 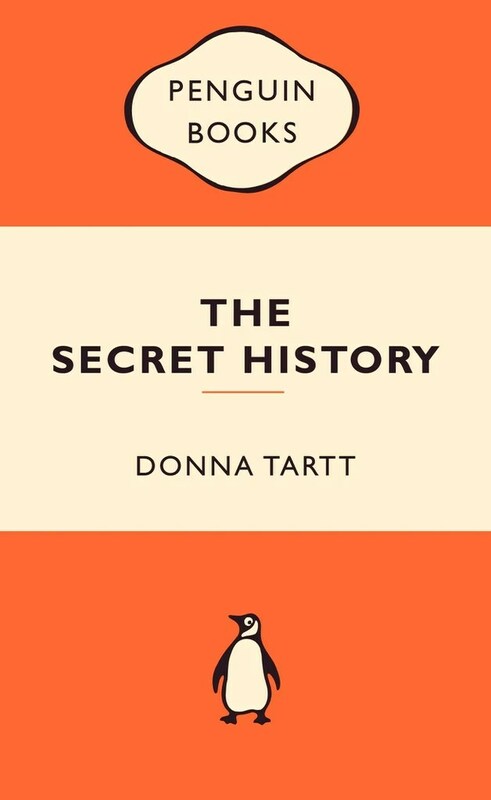 In fact, before I move on to what plagued and plagues me about this book, I will say briefly and simply that The Secret History is extraordinarily good reading. It is beautiful, lucid prose married with a compelling, page-turning plot, unfolded with absolute mastery of pacing. If you need a book to remind you what a joy it is to read, The Secret History is, at a page-by-page level, it. But The Secret History doesn’t bill itself, and has not been billed, as just a page-turner. There is too much intricacy and subtext in Tartt’s prose and in the behaviour of her characters for a close reader not to want to dig deeper. And that’s where I, as a reader, came unstuck. I can’t, at a subtextual level, work out how I feel about this book – about Richard, Henry or anyone, because the way they treat life and death and consequence and morality is like experimental philosophy. They are people who seem to wander through a world I recognise, treating it in a way I do not. And they’re so well-drawn that it is easy to become so enamoured of this world that you forget yourself. It’s for that reason that I can’t just put The Secret History down and give my thanks to Tartt for writing such a readable book, because I feel, at some level, that we disagree about something. What I’m getting at is that this book has a quiet, interior monologue which remains indecipherable to me. I loved reading The Secret History but I don’t enjoy thinking about it. At any point, someone in this book could display a robust moral compass. No one does. The most “moral” it gets is in a theatrical sense, morality as a display, a performance of goodness, and even then it is in the defence of people who do not deserve a defence. And that stems from Richard’s unreliability. His retreats into difficult-to-decipher dreams or meta-significant symbolic behaviours would be fine – even desirable – if, as I feel Tartt wants me to, I took something more than just a sense of closure away. But I didn’t. In fact, I barely even felt closure, because unless every character in this book was simultaneously run over by a bus, the mere fact that they’re still out there is unsettling. I think this is for one of two reasons: either Tartt is being ambiguous because she trusts and understands her narrator as little as I do, and cannot resolve herself to the story’s overarching significance; or she does understand her narrator, even loves him, but is being obscure because she means for the reader to feel overawed. I suppose a third possibility is that Tartt is positing that life is just like that – unresolved, disquieting, without closure – but in a book with such a resolved plot, to have such a decidedly unresolved interior monologue is just unsatisfying. In any case, the longer I think about this book’s moral-intellectual core, the less I have in common with it. In the end, The Secret History is a great read – but it was food for my mind, not my soul. I haven’t read the book. I haven’t even heard of the author (shame on me). But after reading your review, I want to find out why the book is a classic. I want to read the book, but I also don’t want to read it if the characters are that morally ambiguous and, I suspect, unlikeable. What shall I do? Oh no, they’re quite likeable – or if not likeable then very interesting. Look, Mum, I’m afraid you’ll just have to read it and make up your own mind. It’s time I stopped doing your homework anyway, don’t you think?